Bringing a new product or service into the market requires a lot of effort. Many startups decide to delay their marketing efforts until they’re more established and have the budget to hire marketing staff. Startup founders lead very busy lives and can’t fit everything into their schedule. Because of that, often times, necessary work never gets completed and they put off marketing tasks until they feel the time is right. 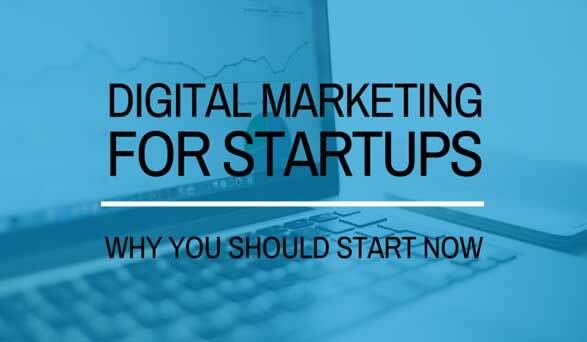 However the right time for startup marketing is from the very beginning. Many successful startups start getting the word out and creating awareness even before launching their product! It’s quite common for some startups to start pitching and building email lists prior to the launch. Many startup founders also tend to go by the ‘Build it and they’ll come’ approach. You may build an awesome product but no one will purchase it if you don’t spread the word because no one will know about your existence. It helps increase awareness and sales, which is vital to the existence of any company. Marketing allows more people to find out about your business which results in more sales. The more the people find out about your business, the more prospective customers you have and the more chances for actual sales. The more well-known your company becomes with the help of marketing efforts, the more trustworthy you appear and people are more likely to buy from you. Marketing allows you to build a powerful brand and increase brand awareness, making your product more memorable and appealing. Digital marketing for startups allows you to build powerful lists of potential customers that you can market to, any time you need to. These can be followers on social media or email lists. These are people interested in your brand that you always have at your disposal to send off a message to about promotions, new products and more. Starting the marketing process before you launch your product allows you to build a potential customer base you can immediately market to at the time of your launch, allowing you to send your product out into the market with a bang. Having an audience you’ve built to reach out to and a following online allows for feedback. The feedback, product requests, feature requests from your audience allow you to improve your product. You have extra showcase materials to potential investors. This leverage is based on evidence of your audience engagement and community growth from marketing efforts. For many startups, avoiding marketing is due to budget concerns. If your startup is on a budget but you still want to get the word out, you can look into the following marketing approaches. SEO: Even though search engine optimization can initially take time to show results, it has minimal costs and can produce valuable organic traffic in the long-run. Social Media: Social media again doesn’t have any costs associated with it, unless you run social ads. Like SEO, it is the case of slow and steady. Don’t expect to build a huge following fast, but little by little you’ll start gathering followers and building an audience that is engaging. Content Marketing: Putting out good quality content will help you rank and also show authority and prove that you’re knowledgeable about your industry. Read more about content marketing basics here. Having a small budget doesn’t mean you can’t perform effective marketing. There are plenty of channels and strategies that require little to no cost to promote your products. Most of these channels do require time and effort though. If funds are not an issue for your startup but you’re limited on time, you can go for methods that show results faster but are paid, such as pay-per-click marketing. Startups should forego attempts at doing their marketing themselves, unless they have marketing personnel on board and time to fit it into their workflow. If not, outsourcing digital marketing for startups to an agency might be the answer. Whatever route they decide to take, marketing needs to be ingrained into the company’s processes from the very beginning, even before launch. At what stage did you launch your startup marketing?